“Did you notice nobody ever gets ‘talker’s block'”? A CocoaCamp byproduct: disposable iPhone apps? When you attend a conference, the people you meet are often more important than the conference sessions. 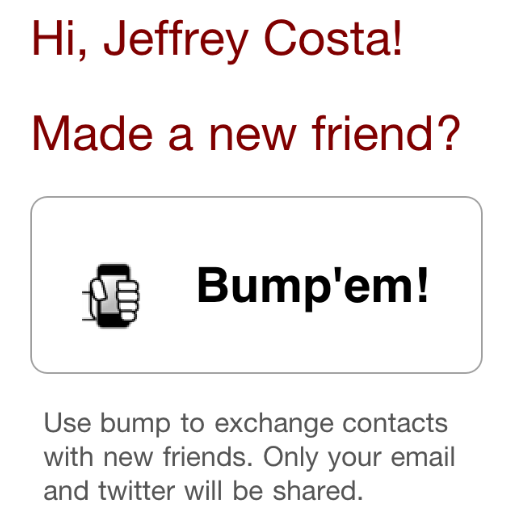 Integrating Bump showed an awareness of this, and made the typically cumbersome process of swapping contact information effortless. 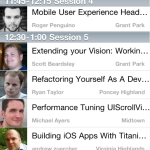 I’d like to see more conferences offer apps (both Android and iPhone) that do similar things. It would increase the value of the conference for attendees, and likely not cost much to build. 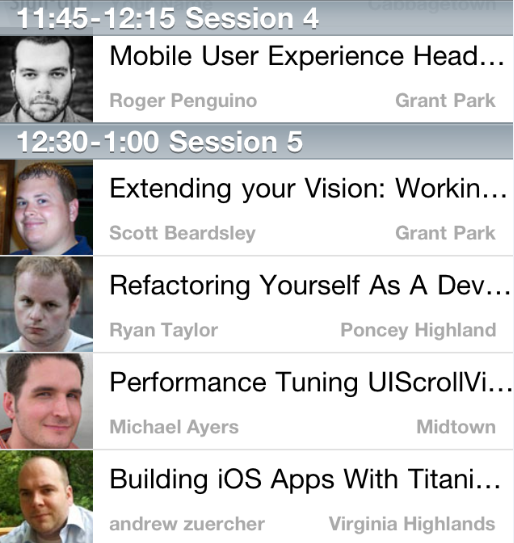 And since apps can use REST and SOAP, conference information can be updated during the event. Is there a business opportunity for building “disposable” apps whose usable lifespan is measured in hours? I bet there is. 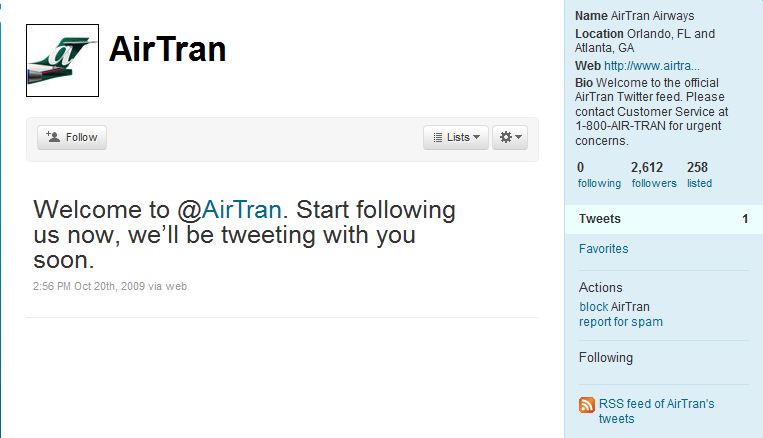 Let me start by saying that I love AirTran as an airline. On a recent trip from Atlanta to New Orleans, my flight arrived early in BOTH directions. Not an easy feat, and certainly a reason they are currently atop the annual Airline Quality Ratings published by the U.S. Department of Transportation. 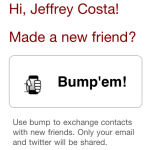 1) The first sentence tells me what to do with the ticket; take it to a counter agent to help finish my check-in. OK, I can accept that some people might need explicit instructions, so we can let this part go. 2) I take my ticket to the counter, and hand it to the customer service agent. I proudly state that I have a “hostfail” with a reference number of NGDMJE, and hand it to her. She takes the ticket from me, opens up a three-ring binder on her counter, and cross-references the error. She is a customer service representative, not an engineer, and has no idea what “hostfail” means. She cannot use the ticket to help me. Instead, she starts fresh by asking for my last name and destination. Its clear that this error was recorded on some internal AirTran system with a reference number that could be used to directly reference (and presumably fix) it. So the ticket doesn’t help her and it doesn’t help me. Why print it at all? Why complicate a process and incur the expense of printing paper? In an industry with such tight margins, I can only imagine how much money AirTran is throwing away each day with these printings. 2) getBooking(Pricing) failed. The security-minded part of me sees that AirTran has now revealed a method from its code, in addition to the likely hostname of the kiosk itself: MSY-IKSKTKT04. This is an unnecessary leakage of infrastructure information. 3) System.OutOfMemoryException also tells me, by its syntax, that this kiosk is probably running on .NET technology. It also tells me that there is a disconnect somewhere in AirTran’s QA function which has enabled a memory leak to surface. One tweet. One. From almost a full year ago. And they have accrued 2, 612 followers during that time. What company would not love to have almost three thousand customers waiting to interact with them? By contrast, Delta has 744 followers, and has tweeted 58 times. 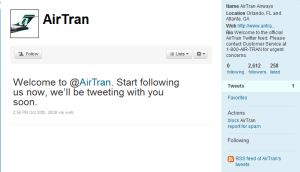 AirTran has almost four times the amount of followers that Delta has, but doesn’t use them. Its only tweet was a version of “Hello, world” followed by a year of silence. This is clearly a missed opportunity for AirTran to connect with its customers. In the two touches I made to their technology stack, I saw problems AirTran could easily fix to make themselves friendlier and more useful to travelers. Will they? Your money isn’t the only thing locked up in that vault. Your data is too. Look at your current bank. What can you do with your financial data? 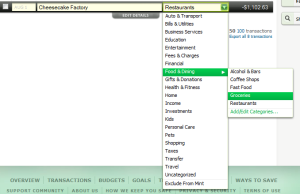 You can download it into Quicken to view some pretty reports or review your recent transactions. Or you could view it on the bank’s own website, where you could transfer money between accounts, setup an alert, or use a bill-pay service to schedule monthly payments. But your data is still inert. Lifeless. Motionless. And the only entity that has access to it is your bank, who often uses it to cross-sell you insurance, mortgage, loans, and savings accounts. I know you get those offers in the mail just like I do. 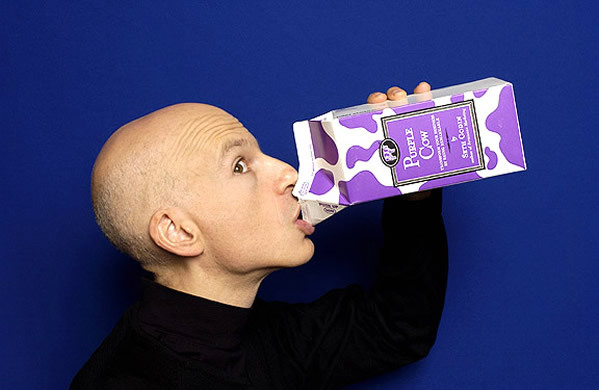 What if that model was turned on its head? Instead of your data being locked in a vault and being read-only to you, it could be dynamic, movable, and wrapped in a rich set of metadata decorations. Last week BankSimple revealed that it will be publishing its own API that would let external applications grab that data and do something with it. Think about that. What applications could you build on a banking API? Lets say I eat at Cheesecake Factory once a week and pay with a debit card. Yet the restaurant knows nothing about me. They don’t know who I am, how much I spend on each visit, or how often I am there. But what if they had an application that I permitted secure access my transaction metadata at BankSimple? Could they automatically take 10% off my check when they ran my card and saw it was me? Could they send me discount coupons if they noticed I stopped visiting regularly? A banking API might enable such an application to be built, and I wouldn’t have to remember to carry around another silly reward/membership card! Wouldn’t that make for a more efficient restaurant loyalty program? What other applications could you build on a banking API?